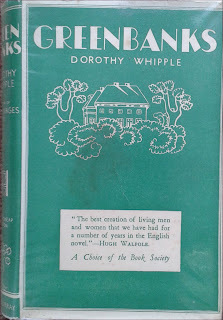 I'm currently reading a selection of books by Dorothy Whipple, having accepted an open invitation to 'read along' by author Clare Harvey, who is reading all nine of this forgotten writer's novels currently in print as part of her blog series My Summer With Dorothy. 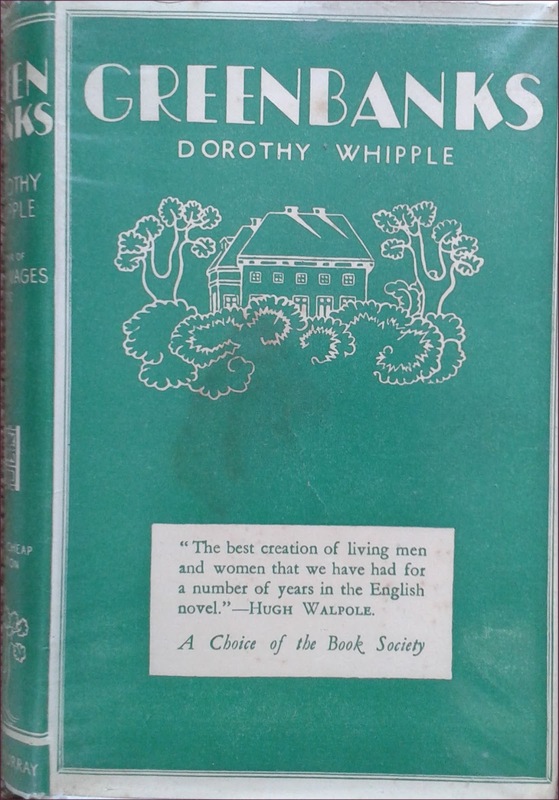 I have to confess I'd never heard of Dorothy Whipple, or if I had, had forgotten her name. Maybe not surprising, as her heyday as a writer was in the 1930s and 1940s. I'd heard of one of her books, They Were Sisters, because it was made into a 1945 film of the same name, and being a fan of old black and white movies, and of James Mason- oh, that voice! - I'd seen it but so long ago, I don't remember much about it. As her books are rather expensive to buy, I ordered a few from my local library and was immediately transported back to the 1970s, when the mobile library that used to come around at 11am on the dot every Friday morning was the highlight of my week - when I managed to get that day off school, of course. The copies of Dorothy Whipple's books I've got out on loan date from the late 1970s and early 80s, and they have those unique chunky hardback covers and that special aroma that took me straight back to those days with a surge of pleasure and nostalgia. 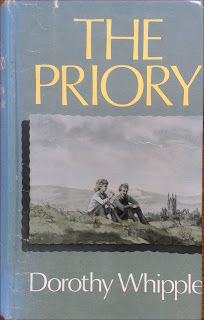 As a child I read voraciously, not Dorothy Whipple obviously, but pony books by the hundreds. And, like those popular pony book authors, the Pullein-Thompson sisters, Whipple's books are as readable now as they were when they were first published. I suspect that some are more easily accessible than others, but her writing is quite wonderful, her narrative flows smoothly and the depth she gives her characters really brings them to life on the page, despite the distance of time. It is also the picture she gives us of the period that makes these books so very enjoyable. The passing of a way of life, the yielding of one generation to another under the looming shadow of war in The Priory, kept me turning the pages long into the night. Even with the rather predictable and whimsical ending, the book is very satisfying, and so far, the only one I've finished.